Many of these hotels are just minutes away from the Faire. Book early, rooms are at a premium when the Faire is open. You can also contact the Kenosha Area Convention & Visitors Bureau at 800-654-7309 or the Lake County, Illinois Convention & Visitor’s Bureau at 800-LAKE-NOW (800-525-3669) for more information or recommendations. The closest hotel to the Faire! Transportation included! 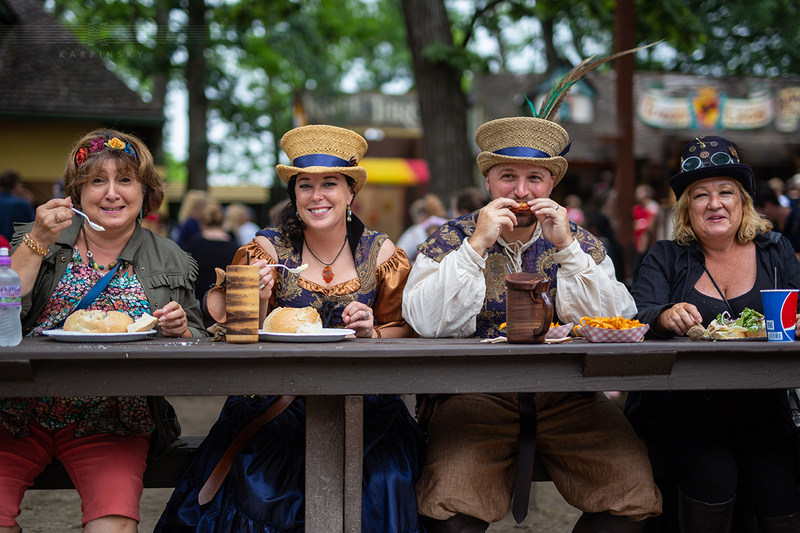 Call the DoubleTree directly at (262) 857-3377 for the Renaissance Faire Package that includes: overnight accommodations at Kenosha’s ONLY Full Service hotel, tickets for 2, breakfast for two, and transportation to faire. Chancery Bar and Restaurant attached to the hotel. Located directly next to the Prime Outlet Mall, the DoubleTree by Hilton will make your visit a “Staycation”! Please call the hotel directly at (262) 942-6000 and mention the Ren Faire Package. Our packages include tickets for 2 or a Family 4 pack, our Full Hot Express Breakfast, and the largest indoor swimming pool in the Kenosha area. We look forward to making your stay with us a memorable one! Conveniently located to I-94, shopping, and dining. We are less than 5 minutes of driving time to the Renaissance Faire. Prices do not include tax, which is 13.5%. 26250 W Heart O’Lakes Blvd. RV & Tent Camping. RV Rental available.